This easy to use kit includes everything you need for a complete single-door access control installation. No compatibility guesswork required. To make ordering a single door access control system as easy and convenient as possible, we now have a complete bundle which includes all the necessary components for a single-door standalone access control installation. 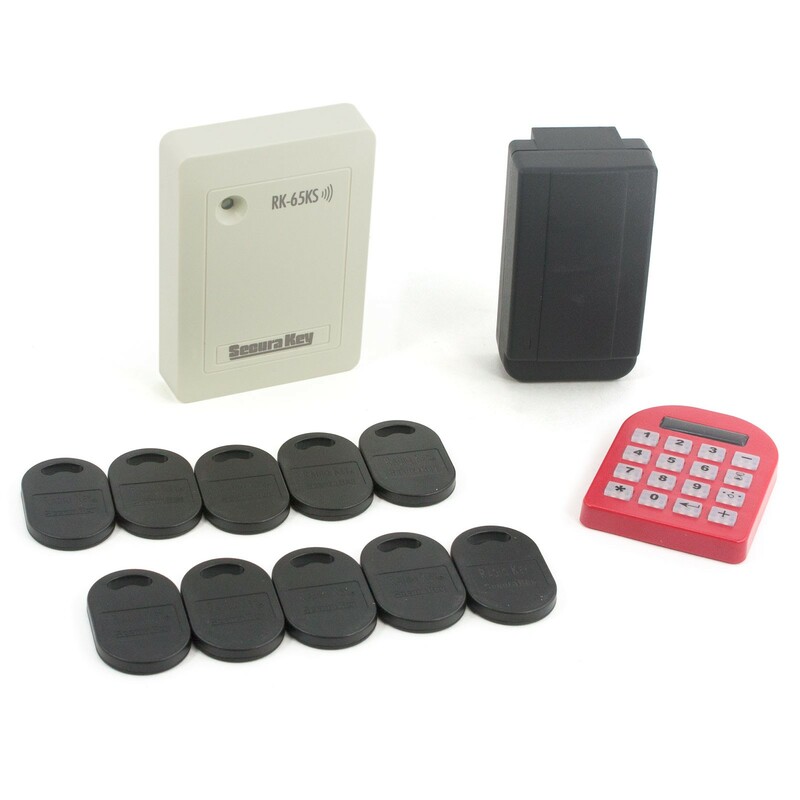 This kit includes the powerful RK65KS proximity card reader. 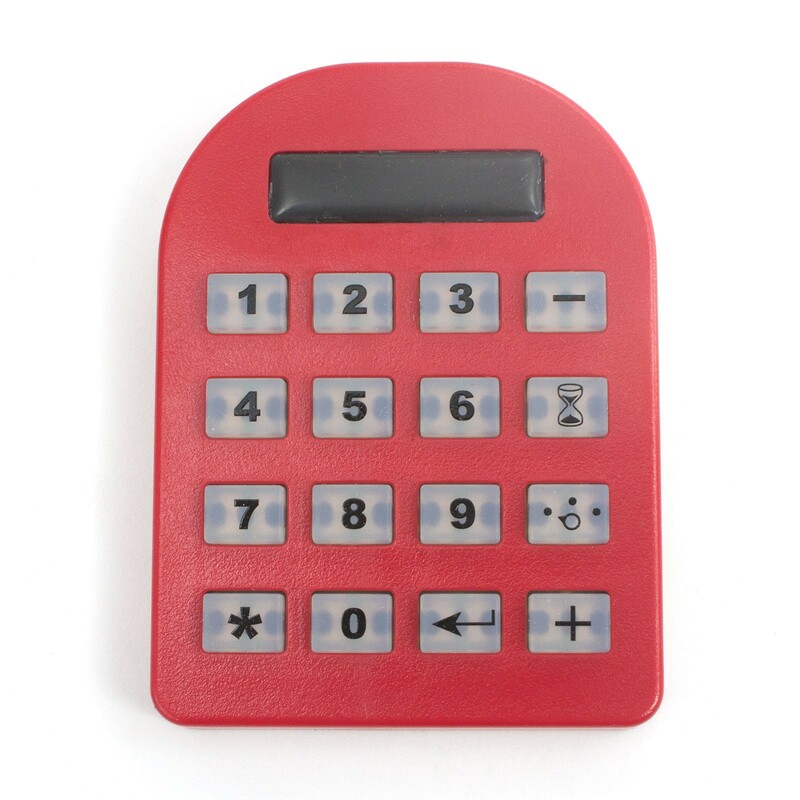 This indoor/outdoor, password protected robust reader can manage up to 65,000 users with sequentially numbered cards or keytags, all easily managed with the included RK-HHP handheld programmer. Also included in this kit is the required power supply, as well as 10 RKKT-02 proximity keytags to get you started. This complete kit removes all the compatibility guesswork in selecting the required compatible components for a complete single-door access control system. Just add a door locking device or gate operator with a separate power supply for a complete access control system. This kit is also perfect if you see yourself expanding your access system in the future. 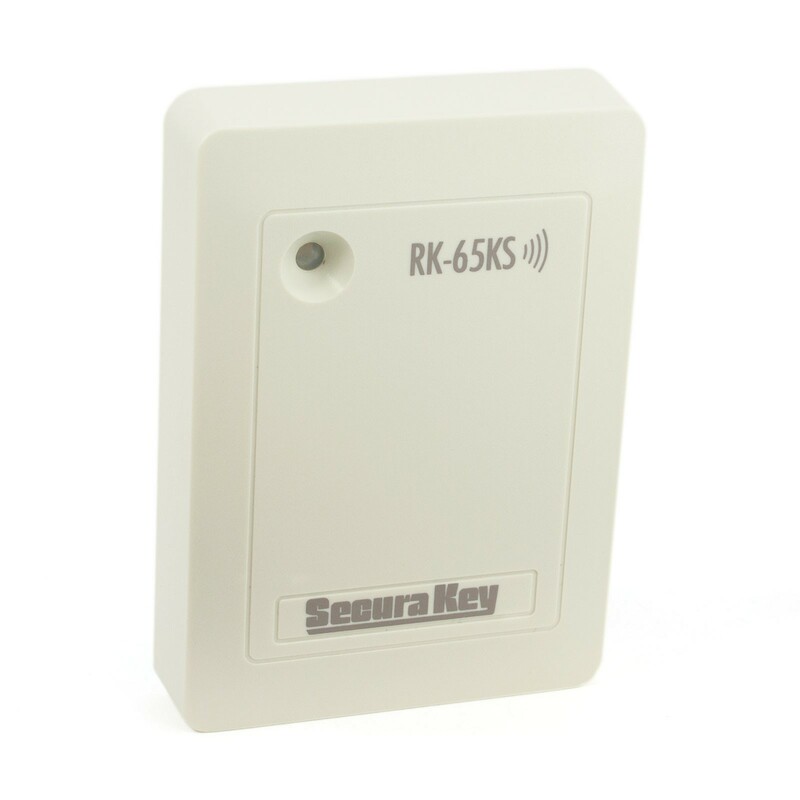 The included RK65KS reader has a Wiegand output so it can easily be connected to a multi-door access or telephone entry system, without having to switch to a new reader. The keytags included with the kit are fully compatible with Secura Key's SYSKIT 2 door proximity access control kits. Reader Size: 4.5" x 3.2" x 0.84"